Owners of household plots grow different crops and vegetables among which the worthy place is occupied by the cucumbers. Getting a good harvest largely depends on when to plant cucumbers. Cucumbers are heat – loving plants, so the time of planting seeds or seedlings in the soil depend on specific climatic conditions. The later receding winter, the longer it takes to warm up the earth. Obviously, if in may only finishes off the snow, nor any plantings of speech can not be. In order to successfully bushes grew, they appeared the flowers, and ovaries, the required temperature is above 15 degrees Celsius. Ground freezing also should be absent, otherwise the seeds just won't germinate. In the middle zone in a soil cucumber seeds in a dry form can be planted in late may by planting during the week. You can plant cucumbers and later, the summer long, and they will have time to grow, but the harvest in this case is going to have closer to August. In order to be sure to be sure that the plants will not suffer from possible frosts, it is best to use a covering material. If seeds are to be soaked, it will accelerate the process of their germination and then planted cucumbers in the ground in the fifth of June, not covering them. 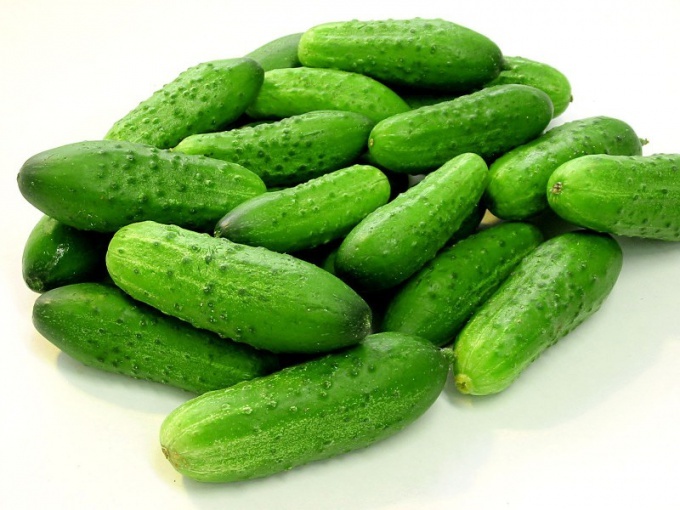 What cucumbers to plant – a private matter of the gardener, everyone has their preferences. But it makes sense to pay attention to self-pollinating varieties, which yield does not depend on whether to allow weather conditions to do their work the bees, in time Opalev stalks. In that case, when to plant cucumbers solved seedlings, sow it in early April. Seed germination depends on their quality, but in General to get strong Bush takes about a month. In the ground got stronger plants appear in early may. But this is only possible in the presence of greenhouses. Without shelter and extra warmth cucumbers in the best case just will not grow until the end of may or beginning of June. Thanks to the seedlings of the harvest will be earlier than when planting seeds.